Tucked not-so-quietly away in one corner of Grapevine, Texas, lies a hotbed of Christmas delights. From snow flurries to water parks to ice exhibits and carousel rides, this little piece of Texas is where it’s at for the holidays! Great Wolf Lodge and The Gaylord Texan Resort sit right across the street from one another. 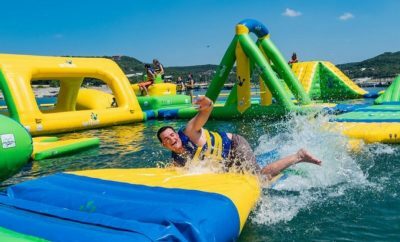 This creates a perfect opportunity for a fun-filled week or weekend all in one place. 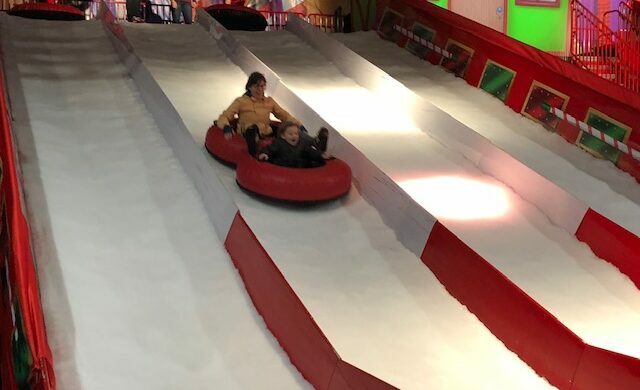 Great Wolf Lodge is a kid’s version of paradise no matter the time of year you go, but the holidays are a special time to check out this place. 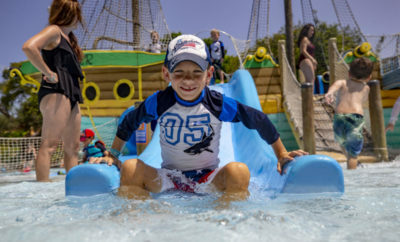 As you approach the massive building, you are greeted by larger-than-life wolf statues, and immediately see the evidence of the water park as several of the slides circle out of the indoor park and then back in. Inside the building, a tree house is decorated with garland, a life-size gingerbread house sits behind a fence, and the animated characters are singing holidays songs. Throughout the building at various times of day are ongoing children’s and family events including crafts, story times, and dance parties. There’s no shortage of ways to spend money including the arcade, build-a-bear, and Magiquest, among other things. Children are delighted to meander through the halls in search of each clue for the Magiquest game. Holiday activities add to the magic with the tree lighting ceremony and snow! The weekend after Thanksgiving, Santa landed via helicopter and greeted the children. Events will be happening throughout the season! 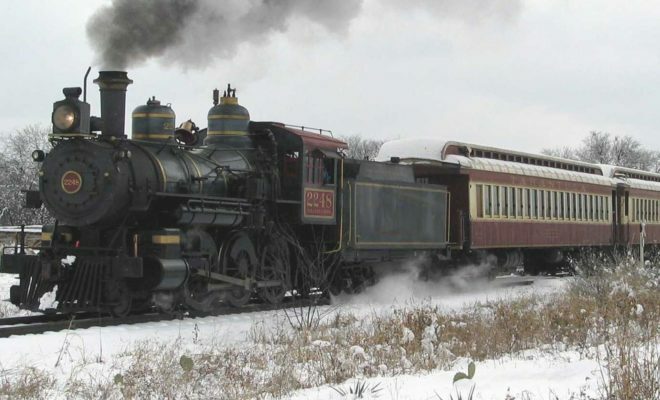 Be sure to enjoy a ride on the Grapevine Vintage Railroad‘s North Pole Express, presented by Great Wolf Lodge. 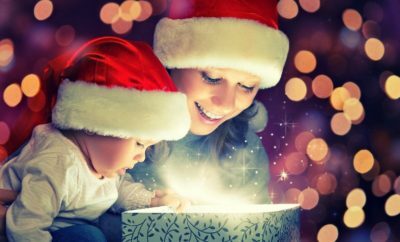 This is one holiday activity that’s sure to delight young and old alike. 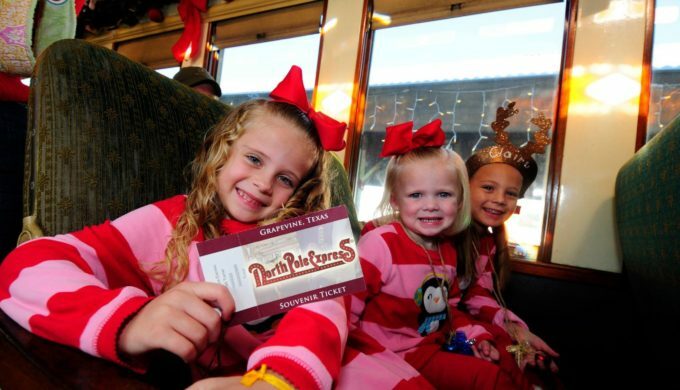 Santa’s helpers welcome passengers aboard the decked-out railroad coaches with wonderful Christmas music. While you ride down the rails, savor each sip from your Memory Mug of Santa’s special Frosty Chocolate Snow Milk and every bite of a tasty Christmas cookie.